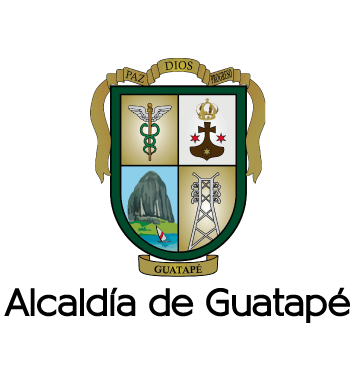 Based on image at http://www.gobant.gov.co/gobierno/guatagra.htm#GUATAPE . original, in Spanish)): "In a rectangle with three equally horizontally colored stripes are disposed as follows: green on the bottom, yellow in the middle and sky blue on top. 1. Green: The color located in the bottom stripe, represents brotherhood, sincere and spontaneous friendship of the people of Guatapé; and also the mutual respect of the religious principles inherited from the elders that enables each and every one of its inhabitants to be more helpful, friendly and hospitable people in the region. 2. Yellow: It is the symbol of sovereignty of our rich land. It also stands for resurgence, drive and dynamism towards progress as the greatest desire of the community. 3. Sky blue: To represent the beauty of the landscape with the River Nare and also it stands for the motto, "CARIDAD Y LEALTAD" (English: Charity and Loyalty) of the inhabitants of Guatapé".